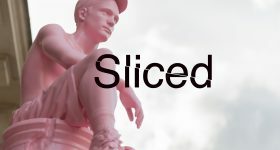 In this week’s edition of the 3D Printing Industry News digest Sliced, 3D printing forays into the world of food art; drone deliveries; white-collar boxing and art sculptures. We also cover the latest advancements and updates from the likes of Protolabs, GE Aviation and Renishaw. There are also updates regarding exhibitions and speakers for the upcoming 2019 AMUG conference. 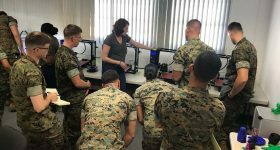 Read on for all the latest news regarding investments, medical initiatives and industry-wide research in the world of 3D printing. 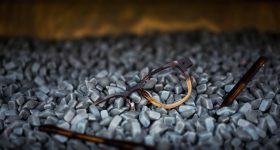 Award-winning on-demand manufacturing provider Protolabs has launched a new service offering aluminum anodizing as part of its on-demand production service. Anodizing is the application of a thin, protective coating to prevent corrosion, increase abrasion resistance and provide an enhanced surface finish. 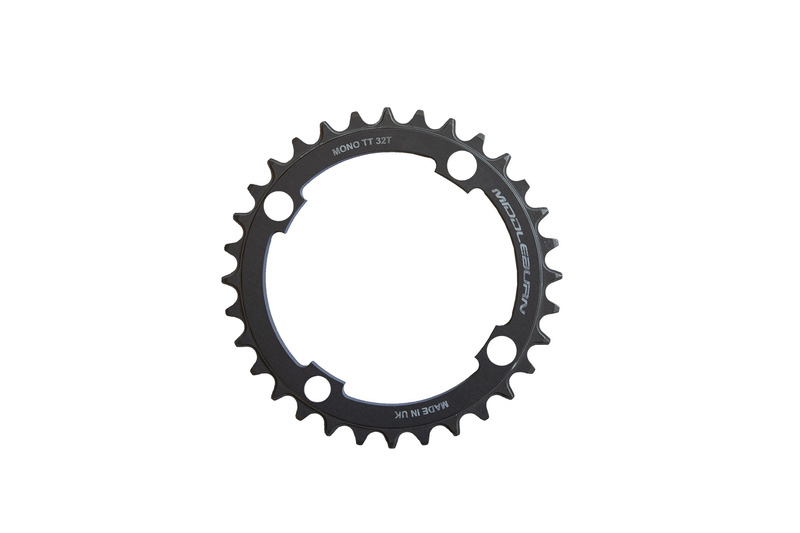 This new service was launched by Protolabs as a response to demands from customers for a single-source solution for manufactured parts, offering a total on-demand production service from initial part design to finished protected. Continuing on in metal AM, Cetim, the French Technical Center for Mechanical Industries, has installed its second metal 3D printer from Swedish binder jetting metal 3D printer manufacturer Digital Metal at its site in Cluses. Cetim was one of the first customers to install a Digital Metal 3D printer, initially at its Saint-Étienne facility in 2017. 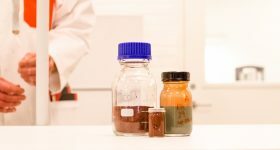 Metal additive manufacturing materials producer Metalysis has announced that the UK’s Defence Science and Technology Laboratory (Dstl), part of the Ministry of Defence (MOD), has placed an order from the company as part of the Materials for Strategic Advantage research programme. 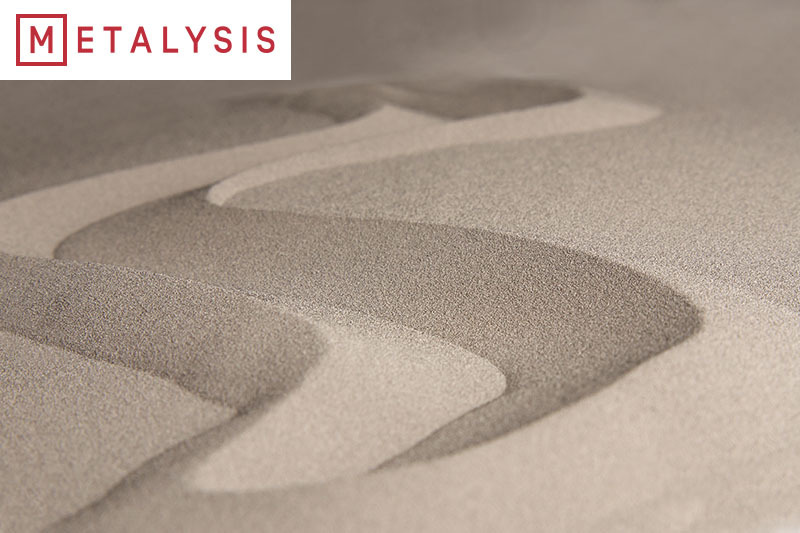 The order was for titanium powder alloy, one of the two launch products from Metalysis’ new industrial plant, Gen4, housed within its Materials Manufacturing Centre in Wath upon Dearne, South Yorkshire. With plans to utilize drones, the maritime industry is now looking to take flight. Wilhelmsen, a global maritime industry group, completed its first trial deployment of drone technology in partnership with international aerospace company Airbus. 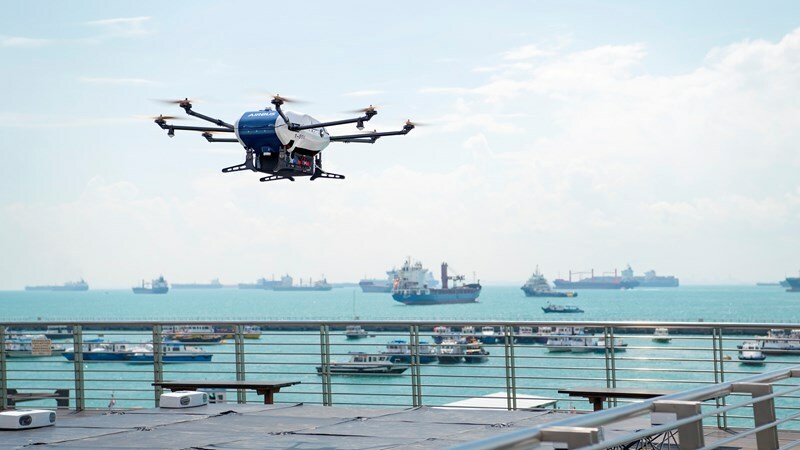 The Airbus Skyways drone took a 1.5km flight and delivered 3D printed consumables from shore-to-ship in real-time port conditions in Singapore. 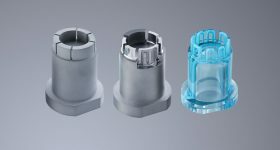 The consumables were 3D printed at Wilhelmsen’s additive manufacturing facility, in partnership with additive manufacturing service bureau Ivaldi Group. “Delivery of essential spares, medical supplies and cash to Master via launch boat, is an established part of our portfolio of husbandry services, which we provide day in and day out, in ports all over the world. Modern technology such as Unmanned Aircraft Systems (UAS), is just a new tool, albeit a very cool one, with which we can push our industry ever forward and improve how we serve our customers,” said Marius Johansen, VP commercial, Wilhelmsen Ships Agency. The Airbus Skyways drone lifting off. Photo via Wilhelmsen. 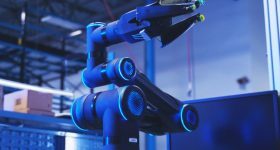 Taking a quick stop in aerospace, General Electric (GE) subsidiary GE Aviation, headquartered in Ohio, has announced plans to invest $50 million in expanding the additive manufacturing operations at its Auburn facility. With the investment, GE Aviation will install new additive manufacturing machines in Auburn and create an additional 60 jobs, with the aim of commencing high volume production for a second engine part. Previously, in October 2018, GE Aviation celebrated the successful shipping of it’s 30,000th 3D printed fuel nozzle tip at the Auburn facility, and is now taking further steps for production-scale additive manufacturing. 3D printing is on a roll in the food industry this week, with upcoming Tokyo restaurant Sushi Singularity offering custom 3D printed sushi. The restaurant is created by Open Meals, a Japanese digital food company that debuted its 3D printed sushi in 2018. Prior to making a table reservation at Sushi Singularity, guests will be asked to prepare a health kit of biological samples, like saliva, urine (!) and feces (!!!). Upon receiving the samples, Open Meals will then analyze them and create a ‘Health ID’ for each customer. With this, Open Meals will 3D print personalized, artistic sushi with recipes catered to the biodata of the guest. The negative stiffness honeycomb octopus sushi, made using 3D printing. Video via Open Meals. Remaining within the realm of art, advanced technology group, Berlin.Industrial.Group. (B.I.G.) 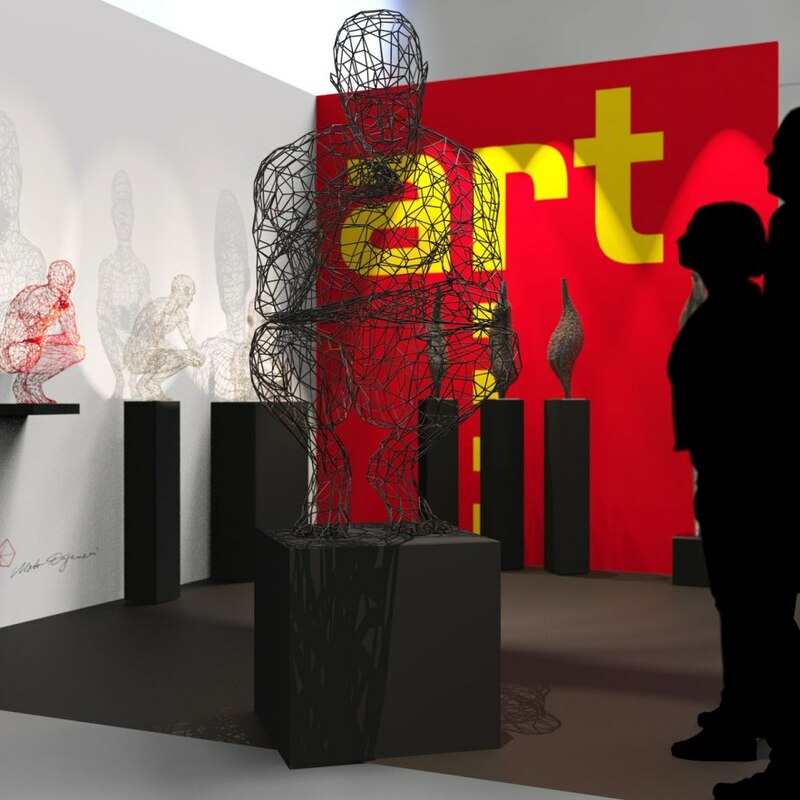 has collaborated with artist Moto Waganari to 3D print a metal sculpture for the art KARLSRUHE. The sculpture, titled “The Thinker”, was manufactured by 3D metal experts Flying-Parts and 3DMP-Living, using 3DMP metal printers developed by GEFERTEC. All three companies operate under the B.I.G. umbrella in Berlin. “I have been dreaming of printing a large metal sculpture for more than 10 years,” explains Moto Waganari. The 3D printed sculpture from Moto Waganari. Photo via Moto Waganari. The additive manufacturing industry is ready to rumble (for a good cause), as Joanna Young, Managing Director of British 3D printing reseller GoPrint3D, takes part in a white-collar boxing match to raise money for Cancer Research UK. The venue will be the Majestic Hotel in Harrogate on 30th March, and you can support Jo “I don’t go down for nobody” Young and Cancer Research UK over at Young’s JustGiving page. Additionally, 3D printing has been used for a breast cancer awareness initiative in India. 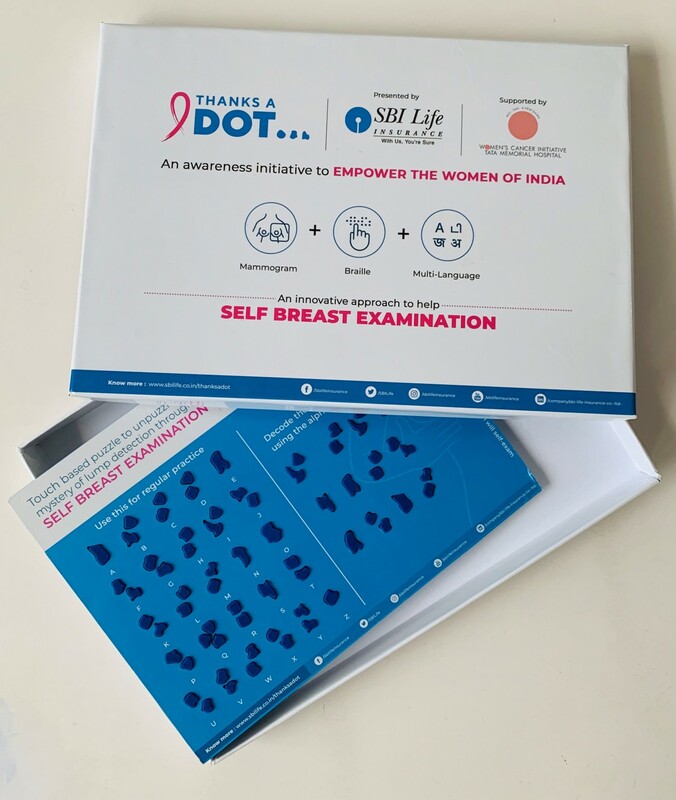 The campaign, called ‘Thanks A Dot’ was launched by SBI Life Insurance with support from non-profit organization Womens Cancer Initiative – Tata Memorial Hospital (WCl-TMH). It involves a self-detection tool, created by WatConsult using 3D printing, that intends to empower the women of India by teaching them about breast cancer lump detection and self-examination. The tool features 3D printed breast cancer lump shapes designed using real cancer mammograms, which are formatted into a language code inspired by Braille, encouraging users to solve educating puzzles. The Thanks A Dot. Photo via WATConsult/The Drum. 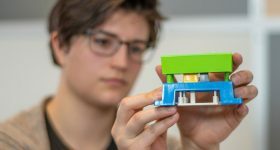 Texan 3D printing technology and materials provider Essentium has released the findings of its independent survey, ‘3D Printing At Scale’. 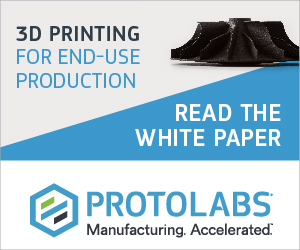 The survey, conducted by Dimensional Research, reveals that 3D production manufacturing stakeholders and decision makers are preparing to shift their industrial 3D printing from prototyping to full-scale 3D printing production runs. 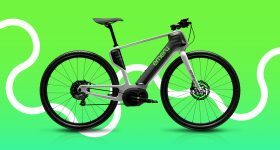 Over half of the respondents to the survey are reported to be preparing for industrial scale 3D printing, with 21% already using 3D printing for full scale production part runs. While expressing confidence on the future impact of industrial scale 3D printing in manufacturing, the survey respondents also cited cost, scale, part strength and skills as major obstacles to hurdle. Finally, we head over to the 2019 edition of the Additive Manufacturing Users Group (AMUG) conference, taking place from from 31st March to 4th April 2019 at the Hilton Chicago, Illinois. CRP USA will be attending AMUG to discuss the use of additive manufacturing in space. Stewart Davis, Director of Operations for CRP USA, will be presenting the paper: “Construction of CubeSatellite used to dispense TubeSatellites using Additive Manufacturing”. Taking place on 1st April, 2pm, at the International Ballroom in the Hilton, Stewart Davis will explain how Windform composite materials are being used for space exploration. Furthermore, UK-HQ’d additive manufacturing specialist Renishaw will be exhibiting at the 2019 AMUG conference, showcasing its 3D printing technologies and components from the aerospace, automotive, medical and marine industries, as well as consumer technology. 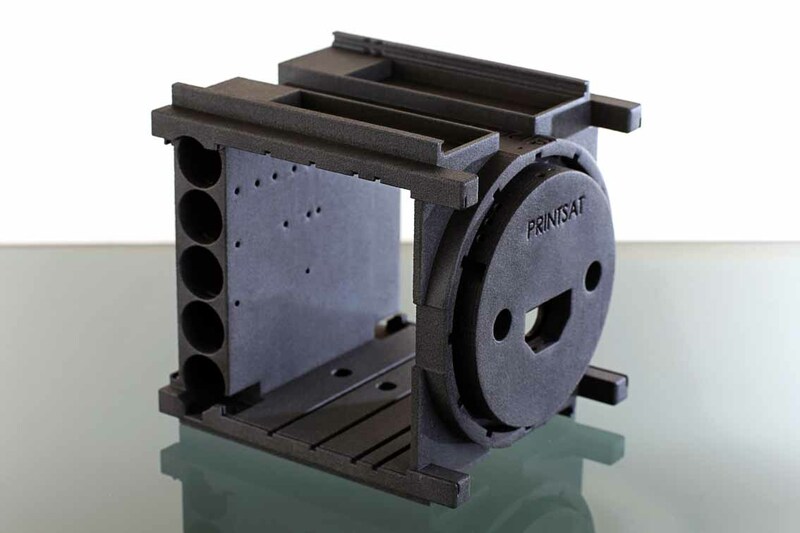 The company will also be demonstrating the different possibilities of productive multi-laser additive manufacturing, and can be found on stand D14 at AMUG. The 3D printed CubeSat from CRP USA. Photo via CRP USA. The third annual 3D Printing Industry Awards is almost upon us, and you can take part by helping decide this year’s winners now. Featured image shows sliced logo above selected of 3D printed sushi. Image via Open Meals.